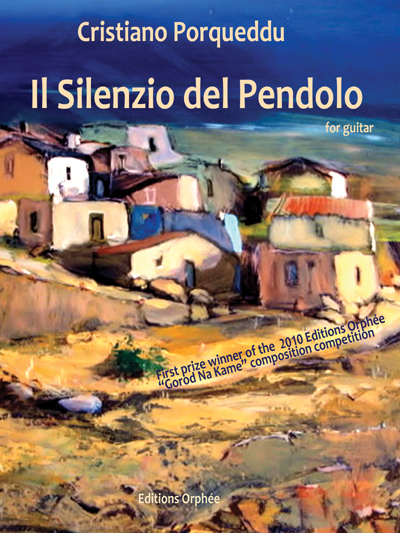 The first prize winner of the 2010 Editions Orphee composition competition, in which contestants presented their variations on Lev Alexandrovich Schwartz's Gorod Na Kame, Porqueddo's work for classical guitar evokes the concept of silence and its importance with relation to sound. According to the composer, "at times there is this instance when everything that surrounds man stops vibrating, which enables the mind to hear one’s thoughts and give shape to one’s dreams." For advanced players.